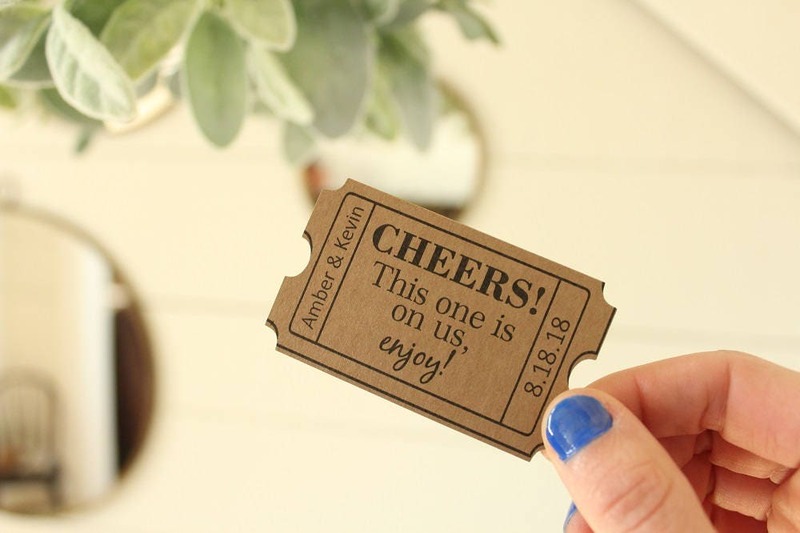 Share the love and show your appreciation for your guests with these custom Cheers Drink Tickets! 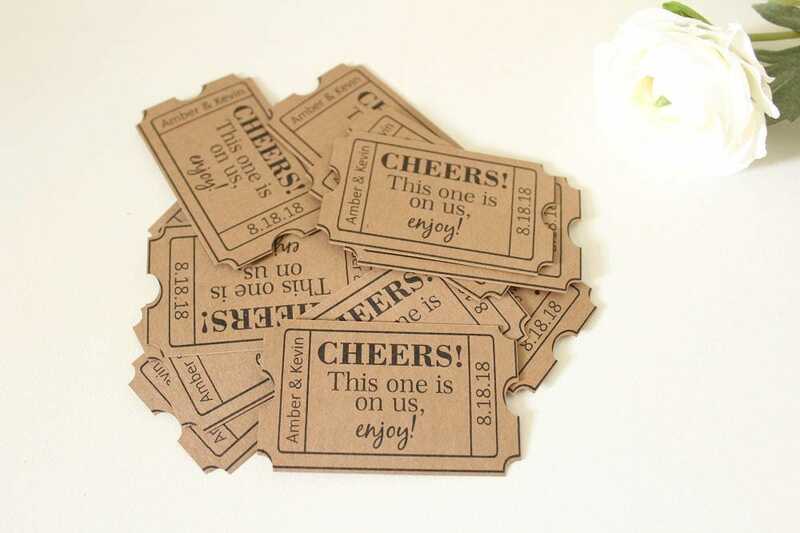 Set it up with the bar and the venue that guests can get a drink when they turn in one of these pretty and simple tickets. 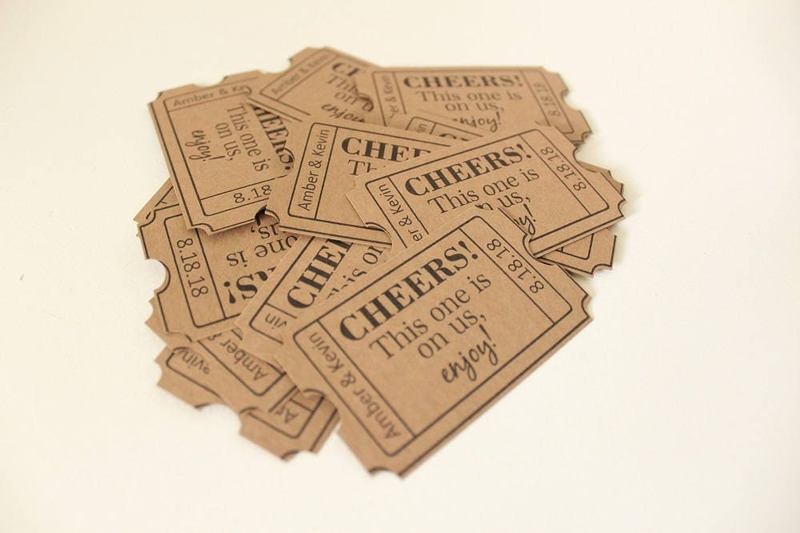 They're perfect for wedding receptions, anniversary parties, engagement parties, corporate events and much, much more. Made using 60lb Kraft Brown Cardstock. 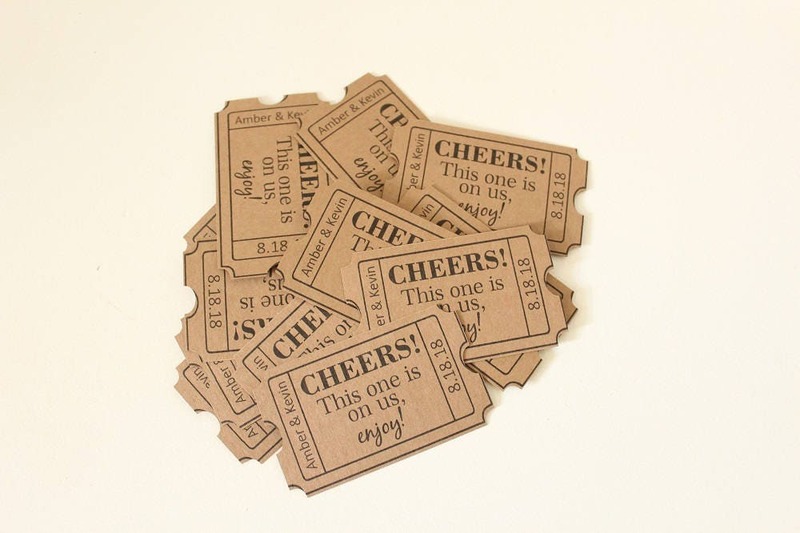 Please leave the names and date to be added to the tickets in the notes to seller section upon checkout.